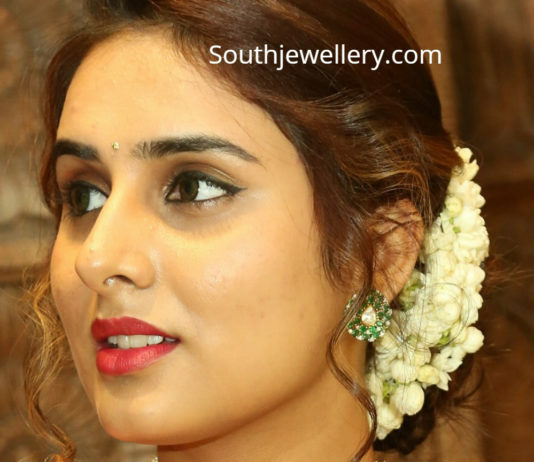 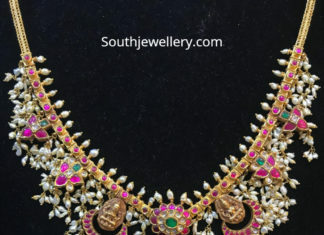 Multi strand flat pearls necklace arranged in 8 shape featuring gold pendant at it's center studded with uncut diamonds by JCS Jewel Creations. 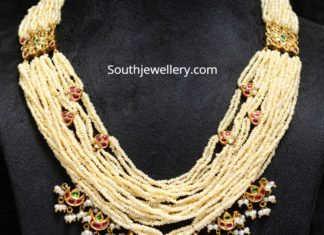 Multi strand pearl tassel haram adorned with emerald beads at the ends. 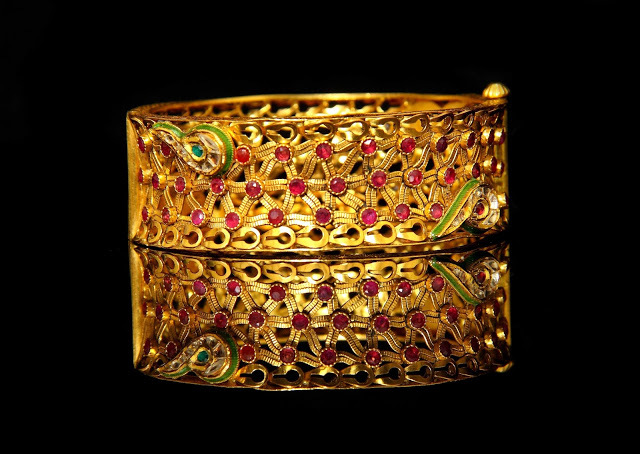 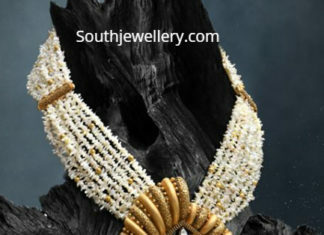 The necklace is embellished with a flower motif studded with diamonds, emeralds and rubies at it's center. 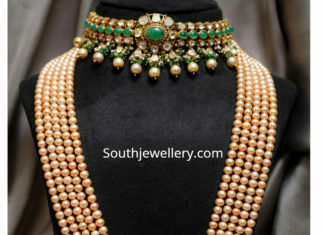 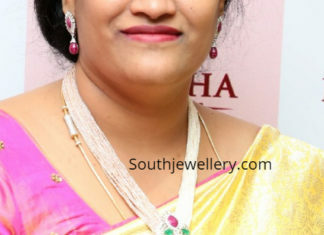 Multi strand pearl choker with pendant studded with kundans and emerald by Harini Fine Jewellery.